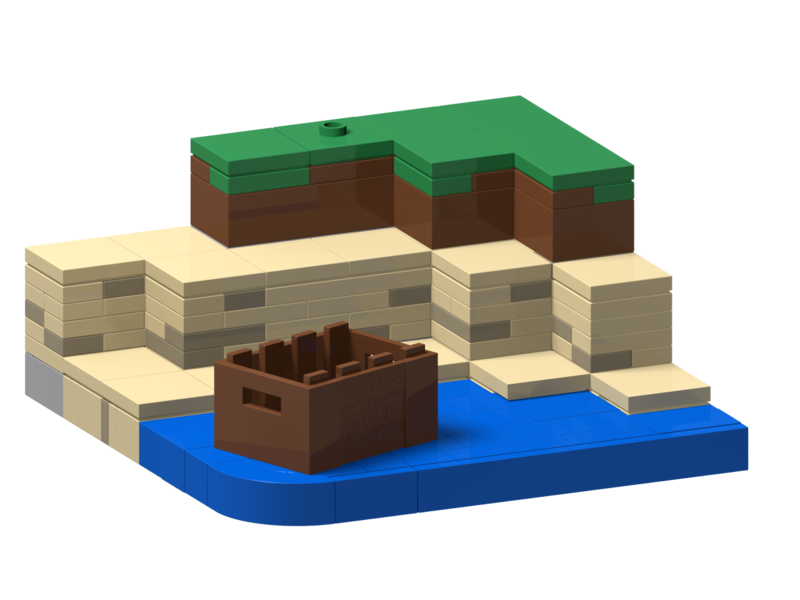 Recreate the blocky beaches of the 2009 game Minecraft! This model is compact 12x12 design, perfect for filling any small space. You can place a *minifigure of your choice into the boat, and onto the 2x2 jumper plate on the landscape.